Iran’s brash and threatening attempt to establish a military foothold in Syria, its most important Arab ally, has concentrated minds in world capitals. In recent weeks, this topic has topped the agenda in high-level talks between Israel and Russia, Iran and Russia and the United States and Russia. It’s clearly one of the most important unresolved issues in the Middle East today, and will continue to simmer until it’s settled. Moscow has been at the center of these discussions for at least two reasons. Russia exerts enormous influence in Syria, a nation embroiled in a civil war, and has extended military and political assistance to Damascus. Russia maintains cordial ties with Iran, which, along with Moscow, has played a key role in helping Syrian President Bashar al-Assad turn the tide in the seven-year-old war in his favor. In recent months, Syria, aided by Russia, Iran, Hezbollah and an assortment of Shi’a militias, has pushed rebel forces out of areas they once held. 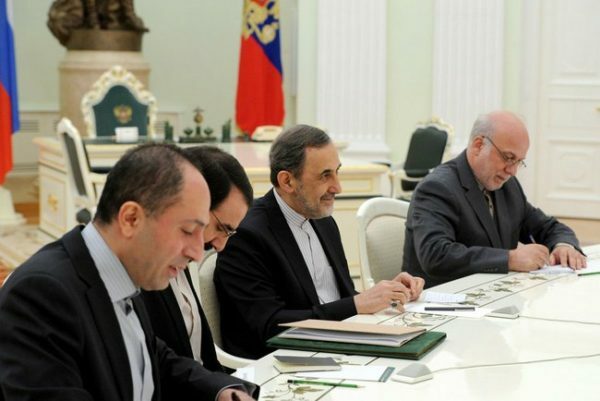 Iran’s grandiose ambitions in Syria are a source of grave concern to the Israeli government because the Iranian regime is extremely hostile to Israel and has repeatedly called for its destruction. Israel, fearing that Iranian bases on Syrian soil would be a strategic threat, has demanded the full withdrawal of Iran and its Shi’a proxies from Syria. Since last February, Israel has bombed a succession of Iranian bases in Syria. 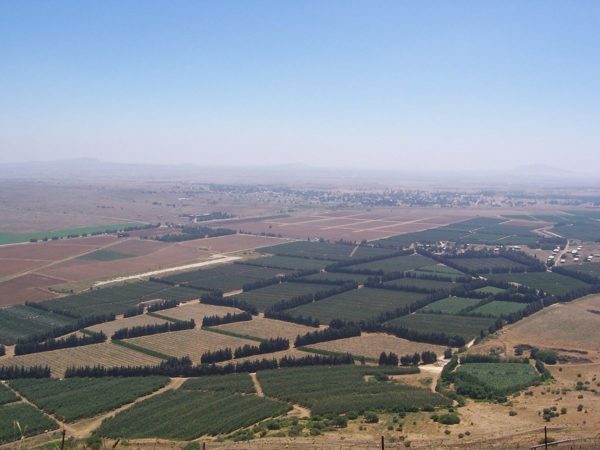 In May, in an unprecedented move, Iran fired more than 30 rockets at the Israeli side of the Golan Heights, causing little or not damage, but a ripple of anxiety. 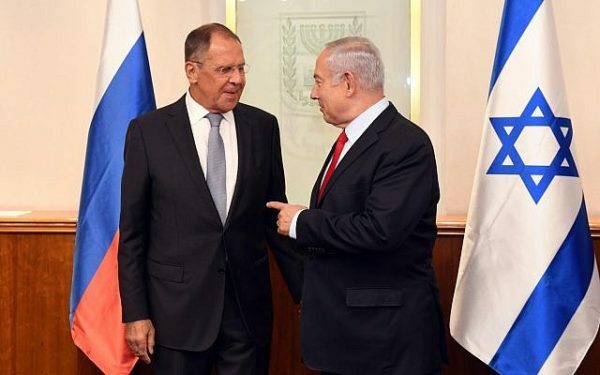 Israel’s refusal to tolerate an Iranian military presence in Syria, a demand voiced by Prime Minister Benjamin Netanyahu and his senior ministers, appears to be in sync with Russian policy inasmuch as Moscow has called for the withdrawal of foreign forces from Syria. Still, tension between Israel and Iran has placed Russian President Vladimir Putin in an awkward position because he wants to be a good terms with both countries. At their last meeting in Moscow on July 11, Putin and Netanyahu discussed Iran in detail. Netanyahu made it known that Israel would not try to unseat Assad if Iranian forces are completely removed from Syria. Putin, in effect, implicitly warned Iran not to upend this equilibrium. 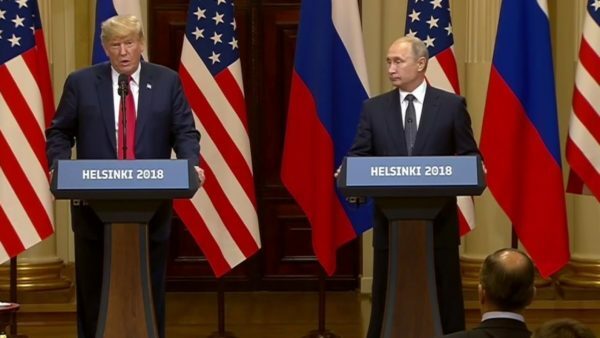 In his comment, Trump said he and Putin were interested in “creating safety for Israel” on its border with Syria. This, too, was shorthand for U.S. opposition to Iran’s plan to threaten Israel from the Syrian sector of the Golan Heights. Three days later, a Russian delegation headed by Foreign Minister Sergei Lavrov landed in Israel. 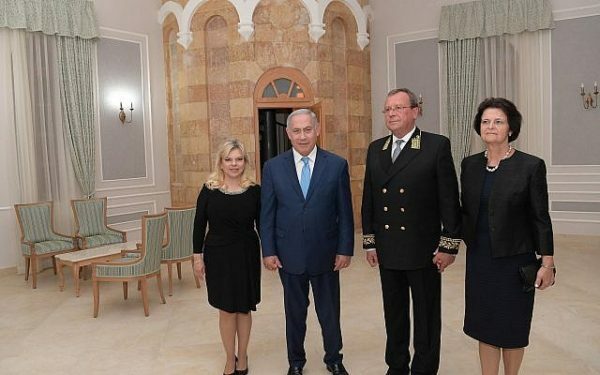 Lavrov was accompanied by, among others, the chief of the Russian army, General Valery Gerasimov, who was paying his first visit to Israel. Offering Israel a deal the Russians promised to enforce, they pledged to keep Iranian forces, Shi’a militias and Hezbollah 100 kilometers (62 miles) from Syria’s border with Israel. In exchange, Israel would accept the status quo in Syria and stop launching air raids into Syria. Israel rejected the offer, with Netanyahu, Defence Minister Avigdor Liberman and Chief of Staff Gadi Eisenkot telling the Russians that Israel could not accept an Iranian or Hezbollah presence anywhere in Syria, and that it reserved the right to continue carrying out air attacks in Syria. So far, Russia has tolerated Israeli air strikes on Hezbollah weapons’ convoys, Syrian anti-aircraft batteries and Iranian sites. A day after the Russians left Israel, Israeli Patriot missiles shot down a Syrian Sukhoi Su-24 fighter jet that had penetrated two kilometers into Israel. The Syrian pilot was killed. The Syrian aircraft was apparently bombing Islamic State targets in southern Syria when it was hit by Israeli fire. Israel now believes the Syrian pilot strayed into Israeli airspace accidentally. 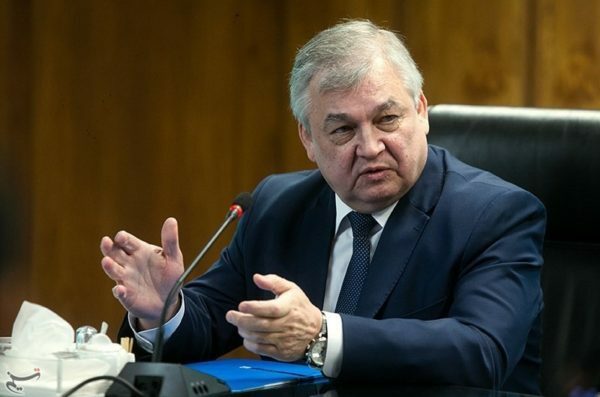 On July 30, Russia’s new ambassador to Israel, Anatoly Viktorov, told an Israeli TV station, Channel 10, that Iran is playing “a very, very important role in our common and joint efforts to eliminate terrorists in Syria.” And he noted, “The Iranian presence in Syria is fully legitimate according to United Nations principle and the UN charter.” He said that Russia cannot force Iran out of Syria, but can talk to its “Iranian friends” about Israel’s demand. Lavrentyev’s comments notwithstanding, Israel is sticking to its demand for a full Iranian withdrawal from Syria. Whether this is possible remains an open question.